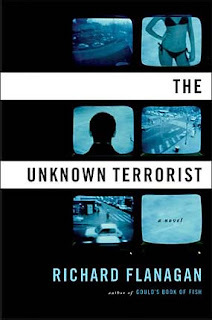 I originally ordered Richard Flanagan's The Unknown Terrorist because I had read somewhere that it was excellent and recommended reading. I wish I can remember the source and never take their recommendations into consideration ever again! I sincerely hope readers out there enjoy The Unknown Terrorist much more than I did! It definitely sounded interesting but don't waste your time.